Sterigenics International, a multinational outfit who specializes in medical instruments and pharmaceutical drugs, has been negligent to a disturbing extent in regards to the pollution being produced from its Willowbrook plant in DuPage County, Illinois. The EPA recently filed a damning report on the two plants after some years of investigating Stergenics’ emissions of toxic chemicals into the air around Willowbrook. Ethylene Oxide, a gas used by the company, has been recklessly released in the air around Willowbrook by the two plants in question. The EPA has concluded Ethylene Oxide is carcinogenic to humans by inhalation. Evidence in humans indicates that exposure to ethylene oxide increases the risk of lymphoid cancer and, for females, breast cancer. Within a mile radius of these plants are four schools and a daycare facility in addition to another 19,000 residents in the Chicago suburb. According to the EPA, these residents and the others surrounding the area are 64 times as likely to contract cancer compared to residents who don’t live near the plant. There have already been lawsuits filed on behalf of plaintiffs who have suffered from lymphoma, breast cancer, and leukemia after living close to the Sterigenics Willowbrook plant for a number of years. If you or a loved one has suffered from Leukemia, Breast Cancer or Lymphoma after living within close proximity of the Willowbrook Sterigenics Plant for a considerable amount of time, the time has not run out for you to receive justice. 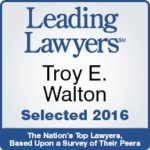 Call the Illinois office of Walton Telken Injury Attorneys and ask for pharmaceutical attorney Stephanie Lyons at (618)-272-2284 for your free, no-obligation consultation.